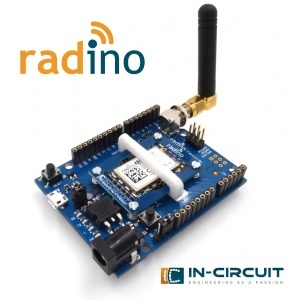 The In-Circuit radino Leonardo is a radino carrier board in an Arduino Leonardo form factor. It's provides a spring socket suitable for all radino modules. The radino Leonardo includes level shifters to adapt the 3.3V I/O-Volatage of the radio modules to the external I/O-voltage. The reference for the level shifters is selectable. It is part of our family of pin-to-pin compatible radino Modules. 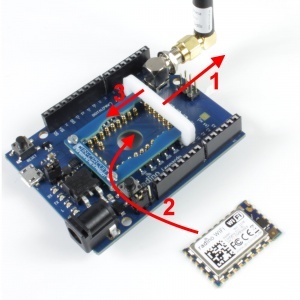 The core of all radino Modules is an Arduino Micro, so the programming is as easy as programming an Arduino Micro.